One thing I look forward to once Valentine’s Day gets here every year is those amazing clearance sales on Valentine’s Day crafting supplies like doilies. Even though Valentine’s Day is over don’t put those doilies away yet! 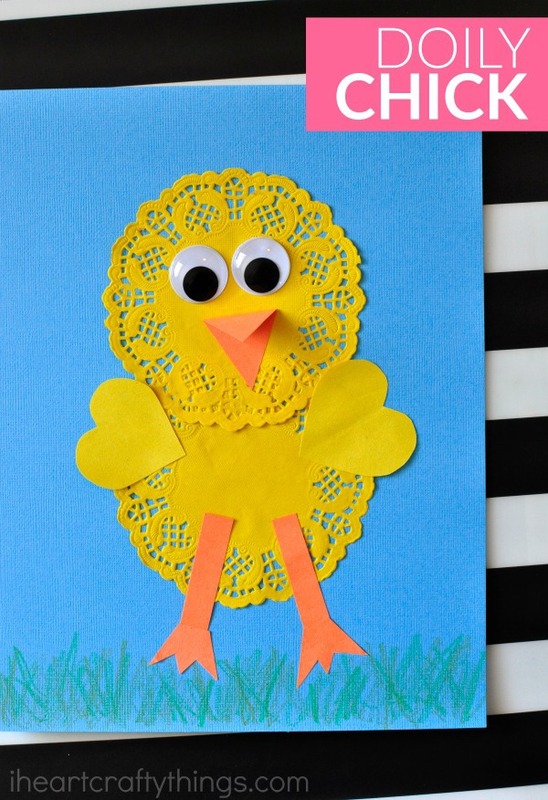 You can still use them to make some adorable crafts for spring like these simple and cute doily chick craft. 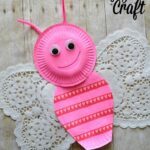 This is one of those crafts that you can set up really quickly and it’s pretty mess free so it makes a perfect last minute craft. 1. 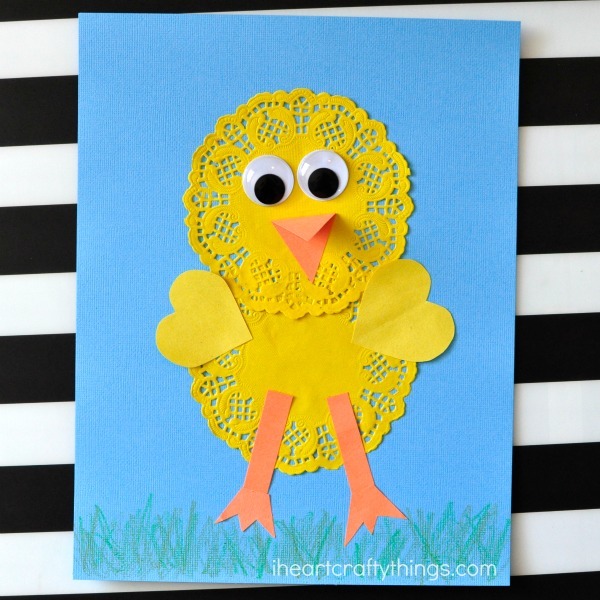 Begin by gluing your two yellow doilies onto your light blue cardstock, one overlapping the other slightly to make a head and chick body. 2. 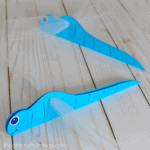 From your construction paper, cut out a beak, two heart shaped wings and chick feet. Glue them onto your chick. 3. Glue googly eyes onto your chick. 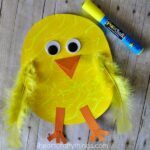 Now finish your adorable doily chick craft by drawing green grass at the bottom of your page with green crayons.